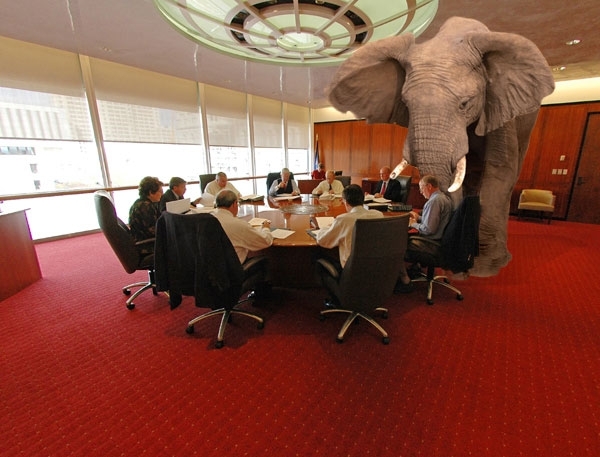 “It’s the elephant in the room.” The familiar phrase prompts an interesting image, an elephant taking up most of the space in a room. Elephants are big, they can throw their weight around, and they can be noisy as well; if an elephant were in the room it would be difficult to ignore! The phrase is used when referring to a subject that no one wants to talk about because it’s uncomfortable, hard to deal with or controversial, but it’s a subject that’s impossible to ignore. Lots of topics could be a candidate as the elephant in the room, depending on the people involved and the circumstances being faced. I’m thinking, however, that there’s one subject that beats out all others as being the supreme example of the elephant in the room. That subject is God. The universe is absolutely huge! There are billions of galaxies with billions of stars in each. The known universe extends over 13 billion light years in size! If God made it all and keeps it all going then He is bigger than it all! In other words there is no bigger subject in the universe than God! Consider then, too, the fact that God has made us as intelligent beings who are not only self-aware and aware of others, but we’re capable of being aware of Him! Obviously, God has unique plans for us, the pinnacle of His creation. It doesn’t take, then, a whole lot of thought to come to the conclusion that God matters most, and should matter most to us, for without Him nothing would be that is, including us! Follow the line of logic a bit further and doesn’t it seem to make sense that we should be orienting our lives around Him, if He’s the biggest subject in the universe? What’s amazing is how we can spend so little of our day thinking about Him and living in response to Him. He’s the ultimate elephant in the room. He doesn’t have to be and shouldn’t be ignored!